In stock 217 items in stock. Sale items are not eligible for quantity discounts. 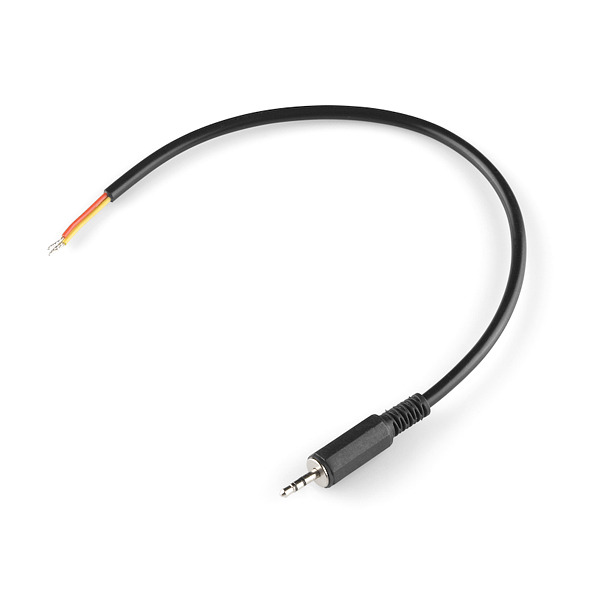 This is a simple 8" long 2.5mm audio cable. It is terminated with a 2.5mm audio plug on one side and unterminated with bare wires on the other end. These are to be used with the ModKit shields. Note: This is not the more common 3.5mm (1/8") jack size. They will not work with 3.5mm jacks. Really wish there was a 2.5mm female jack offered for sale, too. Especially a panel mount variant. This looks perfect for a DIY camera intervalometer for cameras that use a standard 2.5mm stereo plug (ie. Canon's Rebel DSLRs). DUH! thanks for pointing that out. I shoot a Canon T1i, I'm going to try this. This would've been handy for me about two weeks ago. I made a cable so I could control AE lock/AF through a PocketWizard MultiMax. A 3.5mm right-angle plug on one end and a 2.5mm plug on the other to trigger my old Rebel XT. Then I made another cable that has a 2.5mm inline jack on one end and a Canon N3 connector on the other to trigger my 40D. I had to source the N3 connector from a wired remote from the camera because you can't seem to get them anywhere. I tried it on my dSLR and it works great. I'll be making my own shutter control with it. How about a 3.5mm version of same? 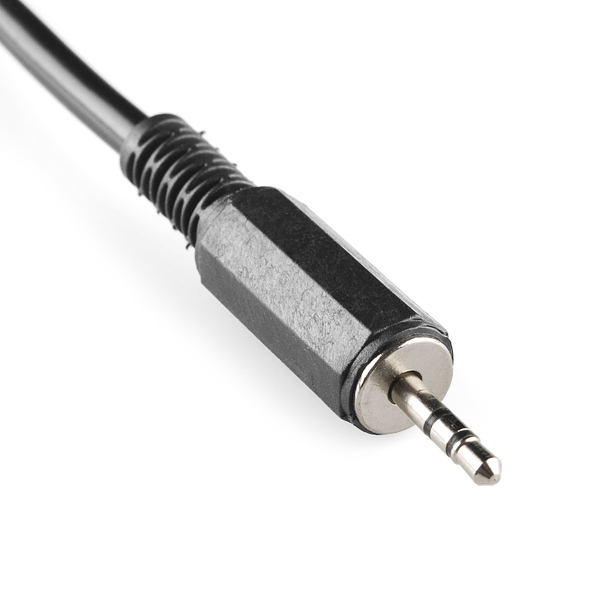 please add 2.5mm audio jack to go with this. 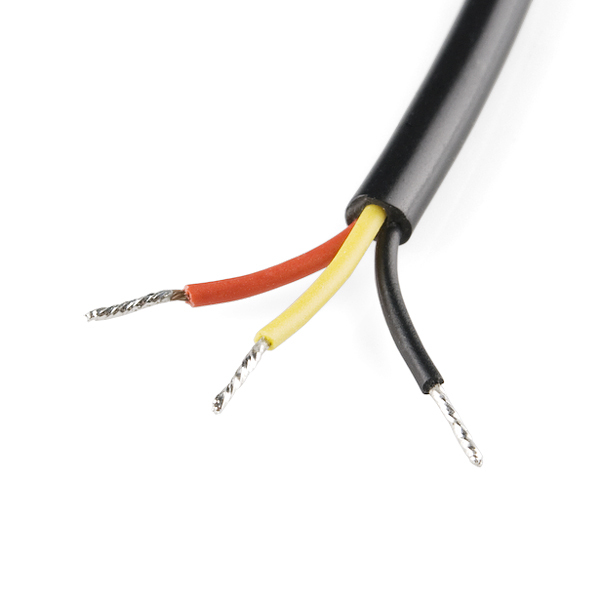 this cable is nice, on it's own, but there are so many projects i want to build where i need the input jack. right now i have to buy them at RadioShack shudders and it's hard to get them, consistently. When back in stock? Or someone tell me how to hook up pigtails to the plain audio plug? For your second question, check out the comment there. You can also press the "Notify Me" button a bit further down still. That way you'll get a reminder e-mail when the item is back in stock for sure. I noticed the restock estimate about 20 minutes ago, but thanks anyway :) Also: you respond to a bunch of my comments. Thanks for your assistance! I don't know a ton about electronics (as you have probably noticed) and it's really nice to have some help. 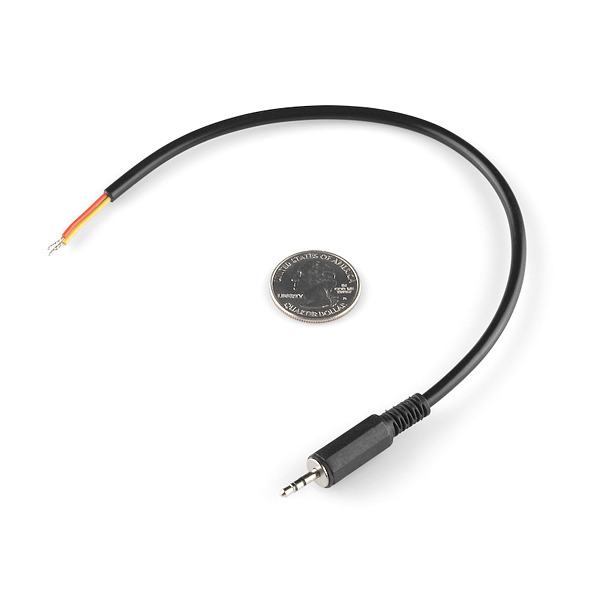 Would I be able to use this to connect an oscilloscope probe to my ipod touch 4th gen? Does anyone have a schematic/tutorial for this? I know you need a 1k resistor somewhere. These also fit the 2.5mm serial jacks on some Texas Instrument calculators. Nike's right, and I'd be happy to get some of these for exactly that purpose. However, I'd like to make sure that the plastic covering around the plug is small enough that it would be able to fit into a TI-84 series calculator (even with some modification). Can anyone please confirm this (or simply measure the diameter of that covering)? I am using mine with a TI-89. I discovered that the plastic covering screws off to reveal a semi-flat metal piece that has to be filed down slightly to fit into the jack. 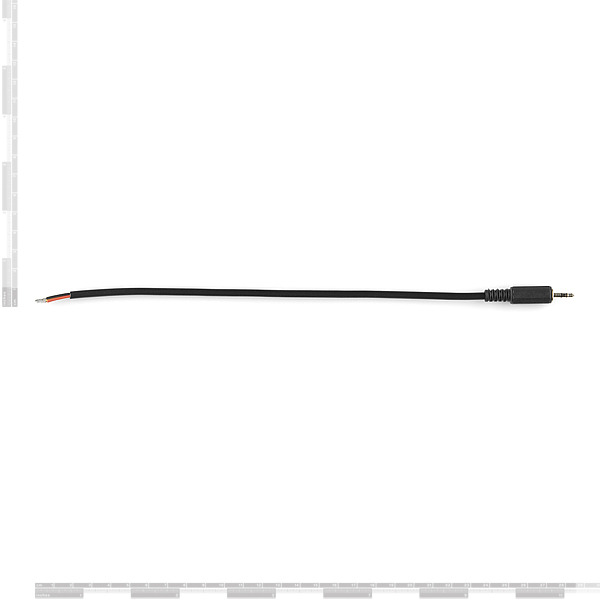 The description includes "terminated with a 2.5mm audio jack on one side", but the images are of a plug.